LG has changed the name of the LG Optimus LTE and at the same time, has taken a little shot at Samsung's HD smartphone screens. Both manufacturers are headquartered in South Korea. 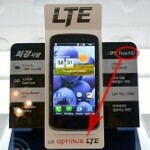 By changing the name of the LG Optimus LTE to the Optimus True HD LTE, LG is pointing out that it doesn't consider Samsung's OLED panel to be true high-definition because of the use of pentile displays. 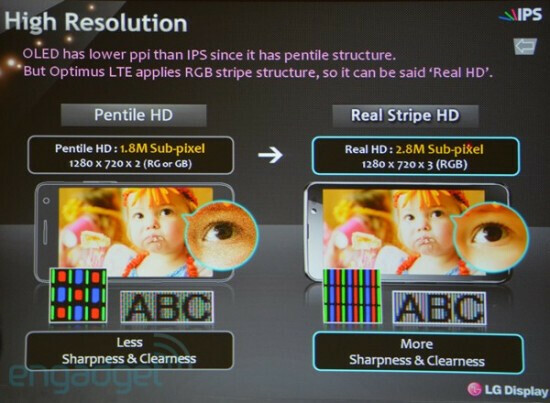 Samsung's OLED displays have lower pixel density than the IPS screens used by LG based on slides produced by the latter. The visuals show how a pentile display has 1.8m sub-pixels compared with the 2.8m using the RGB stripes. 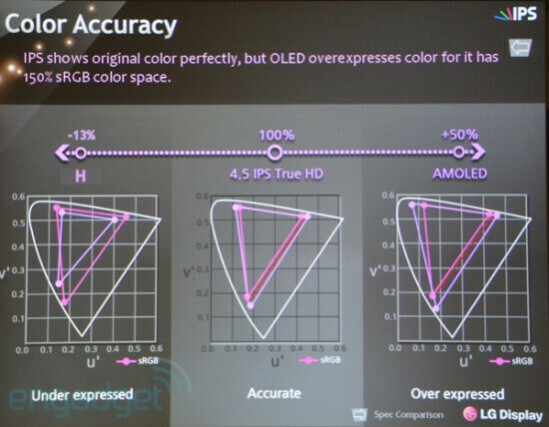 LG also believes that OLED panels overexpress colors while IPS panels reproduce colors perfectly. 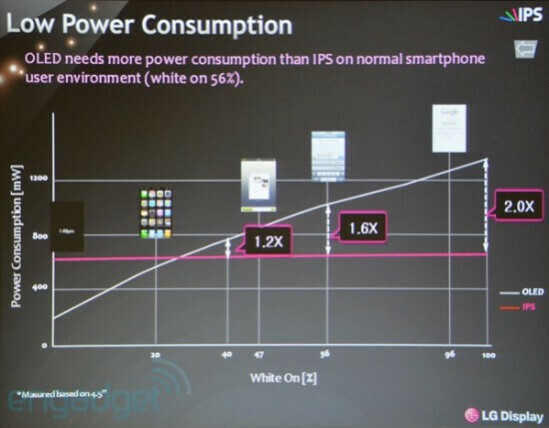 One slide shows that energy consumption is also better with IPS panels compared with OLED displays. You have to admit that a whole lot was said just with a simple name change. But will Samsung be able to strike back in time with the Samsung Galaxy S III. The latest rumors have the eagerly awaited model using the first HD AMOLED RGB (non-pentile) screen made by Samsung. Don't care I still think Samsung pwns LG. Samsung all the way. @eaxvac You don't even keep up to date with news do you? So ignorant you'd see clearly why I made that statement if you even knew what I was talking about. Samsuck? Is that suppose to be original? That is the pot calling the kettle black. geekmovement, you're being a hypocrite -- it's okay for you to criticize someone else but it's not okay for someone to critize YOU. Guess what, geekmovement your poo stinks like the rest of us. Let's be honest, your post doesn't make any sense, ardent1 (and never did in any other articles anyway). I never said people weren't allowed to criticize my COMMENTS (I do not criticize PEOPLE, only comments in reply to mine that makes absolutely no sense at all) unlike you who I guess criticize directly the person, hm.. When did I say it is not ok for others to criticize my comments? They can criticize all they'd like, I'll just make a reply to it if I want. So stop being a hero for the ignorant. People like you eaxvac are the reasons why some people dislike Apple so much. You are a brainwashed trolling fanboy who acts like a little child who thinks he's the coolest kid in school. Grow up kid and stop bashing everything else just because Apple tells you to. Grow a pair and be your own person. PEOPLE PLEASE READ !!!!! what lg has mentioned is FACT & CORRECT. if u compare galaxy s2's super amoled + to galaxy s's super amoled only. U will see a big time difference, its because of same reason subpixels are rgb vs rg- gb, so there is no denying this fact , IPS panel made by LG have TRUE HD, BUT OLED HAS OTHER BETTER COLOR WHEN DISPLAYING COMBINATIONS OD DARK AND LIGHT SHADES TOGETHER. so facts are. 1. whites are better on lg 2. blanks are better on oled. but galaxy s3 with true oled hd, will be possibly the best display of all time. "LG doesn't consider Samsung's oled panels to be true high definition" Well by that logic, I don't know how any1 can consider LG phones to be true smartphones. band joke.,.. lg phones are good value for money... i own a galaxy s2 and lg thrill 4g, both are good but no dening galaxy s2 is better mainly bcoz of its browser.... is it possible to posrt galaxy s2's browser on other androids..? I'm excited to see how the Optimus 4X fares in comparison to upcoming quad cores! LG, stick to making ovens, refrigerators and microwaves. The GS III is going to wipe the floor with the Optimus. Human eyes can't tell the different SAMOLED HD is fine to me. Oh a dum guy & a eyefg$ fanboy for the ?????? LG is also from Asia, just FYI... from the exact same country if I might also add. What a retard. Samsung's reply: "Come at me bro". Lol. afterall samsug,s displays are still more gorgeus to look at. The LG nitro HD had an amazing screen, to be honest it was nicer than the galaxy s2 an the iPhone screen. Im glad to see LG finally trying to get back into the smartphone war! Too bad they give Verizon their low end devices, I wouldn't mind checking out their phones. As far as displays I believe my HTC Rezound still holds onto the best pixles per inch, but too bad I have to keep the brightness at the lowest to even keep my battery going for half a day. But I have to say all the newer displays are looking pretty enticing!